I love seeing state and city officials discussing and realizing that it is the specific ordinances that make or break the results. The Association of Pet Dog Trainers, Calgary Canada, and Omaha, Nebraska have great ordinances to use as models for cities looking to update outdated ones. The only thing I see wrong with Omaha is the Pit Bull Ordinance. The statistics have come in on Omaha's dog bites. 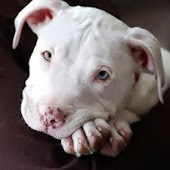 Pit Bull and Pit Mix bites have gone down, but bites in general have gone up. To me this is proof that the Springfield AITF is on the right track. Inform owners lacking in know how, and punish the owners not willing to learn that times have changed and animal abuse and neglect will no longer be tolerated... No matter what breed! Check out this post from KC Dog Blog. I don't think I need to restate what he has already stated so elegantly about Omaha's 5 year breed ban. Here is some info on a Breed Ban Repeal from last week! One step at a time!